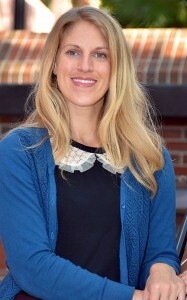 College of Education alumna Amber Benedict (PhD ‘14, Special Ed) will head for San Diego this spring to receive the prestigious Student Research Award for Qualitative Design from the Council for Exceptional Children’s Division for Research. The council is the world’s largest organization of special education professionals and educators. Benedict, who has been serving as a post-doctoral associate in special education for the COE and its Collaboration for Effective Educator Development, Accountability and Reform (CEEDAR Center) since earning her doctorate last August, is the fourth student of COE doctoral faculty adviser Mary Brownell to receive the award in the past six years. Previous recipients and their current institutions were Melinda Leko (University of Kansas), Mary Theresa Kiely (St. Johns University), and Alexandra Lauterbach (University of Massachusetts, Amherst). Benedict’s award is based on her dissertation, Learning Together: Teachers’ Evolving Understandings During Ongoing Collaborative Professional Development, and will be presented during the CEC’s national conference in April. 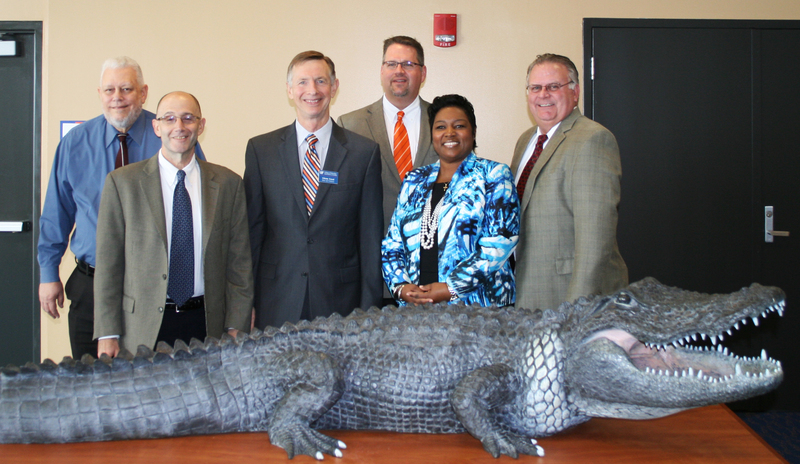 Congratulations to our 2014 UF Distinguished Educators! The Educators were recognized at the University of Florida’s Commencement on Saturday, December 20th. A luncheon was held before the Fall Commencement ceremony at the President’s Suite in the Ben Hill Griffin stadium and the Educators received golden apple awards for their teaching accomplishments. This year’s award recipients are (pictured from left to right): Richard Hernandez from Okaloosa County, Alfred Fabrizio from Martin County, Dean Glenn Good, David Steffey from Marion County, Moneek Scott-McTier from Palm Beach County, and Robert Egley from Hendry County. To see all of the photos from the event, click here.